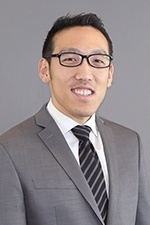 Brian Noh is a labor and employment attorney. He counsels and defends his clients through all stages of litigation in discrimination, harassment, retaliation, and wage-and-hour actions in state and federal court, as well as arbitration. Brian's experience includes defending employers against single plaintiff, PAGA, and class action lawsuits. In addition, Brian regularly guides and advises his clients through numerous employment-related issues, including employee management, medical leave management, proper employee classification, discipline, and termination. Brian also manages civil litigation caseloads in the areas of copyright infringement, general business litigation, and insurance regulation. Prior to joining Hinshaw in 2017, Brian spent more than two years managing and litigating labor and employment, intellectual property, and business matters at a Los Angeles-based firm. He also practiced at mid-size firm in Orange County. During law school, Brian gained a wealth of knowledge through a variety of clerkships, including one with the U.S. Department of Justice, Antitrust Division. He also served as a judicial extern for The Honorable Judge Ernest M. Hiroshige, Superior Court of Los Angeles County, California. Brian was involved in a number of activities and societies during law school, including serving as Executive Production Editor for the Hastings Business Law Journal.